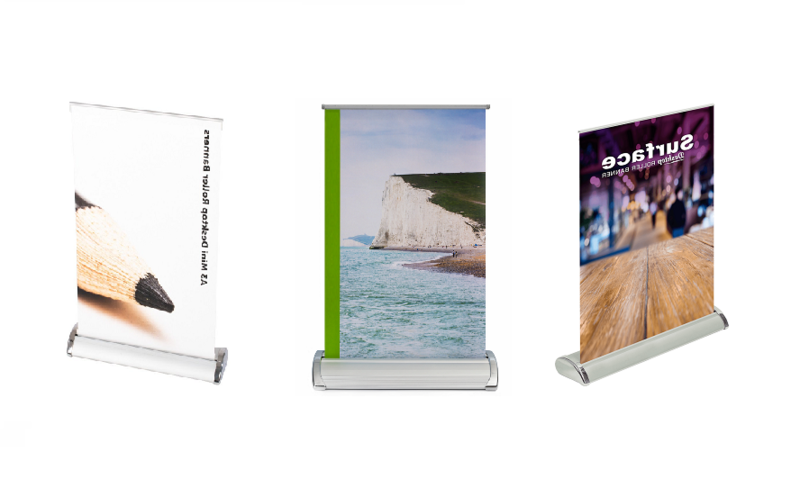 Desktop Banners printing is perfect for any countertop display. These 24-hour Desktop Roll Up Banners are supplied with a graphic panel in a compact roller case to provide ease in carrying and transporting. Same day Desktop Roller banners are used for brand promotions at trade shows, in shop windows and even as menus at restaurants and events. These quick Desktop Roller Banners are available in various sizes and are printed with any design on quality PVC material. We have in-house production house at our Ilford Shop for Desktop Roller Banner Printing in London and you may contact us at [email protected] for any customised quote to fit your requirements.